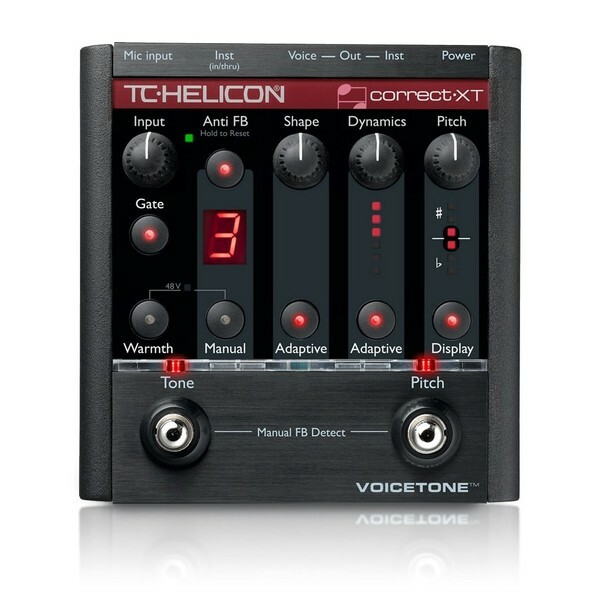 The TC Helicon VoiceTone Correct XT Vocal Processor is like having a live engineer and vocal coach at your feet. Smooth, pro vocal tone with the security of active anti-feedback is yours with Correct XT. 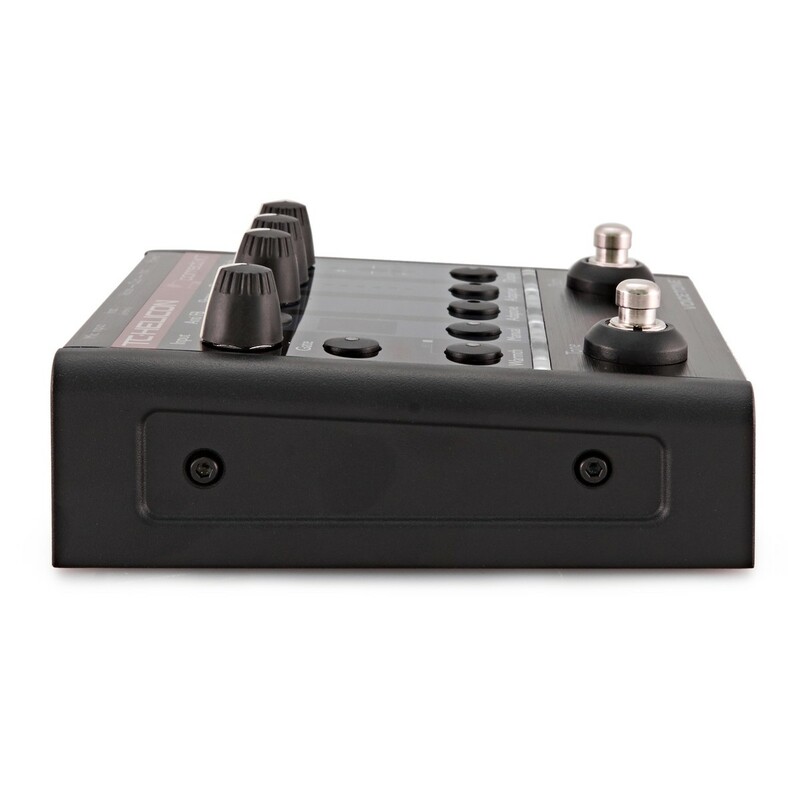 Match that with TC-Helicon's natural auto-chromatic pitch correction, it's like having a live sound engineer and a vocal coach at every gig. Adaptive Tone applies automatic EQ, compression, de-essing and gating whilst you sing so you can be confident you have a great tone. Adaptive Tone - TC-Helicon's adaptive tone technology intelligently controls Shape EQ and Dynamics (Compression & De-ess) to provide the perfect tonal balance that fits in the mix. Best of all it's easy - just set and forget. The adaptive gate can also be added to help suppress feedback and clean up noise. Feedback is a reality for the contemporary vocalist. Unlike other anti-feedback technology, VoiceTone Correct XT doesn't require any pre-calibration in a quiet room before your gig - who has time for that anyways? Once again it's set and forget - protecting everyone's ears. 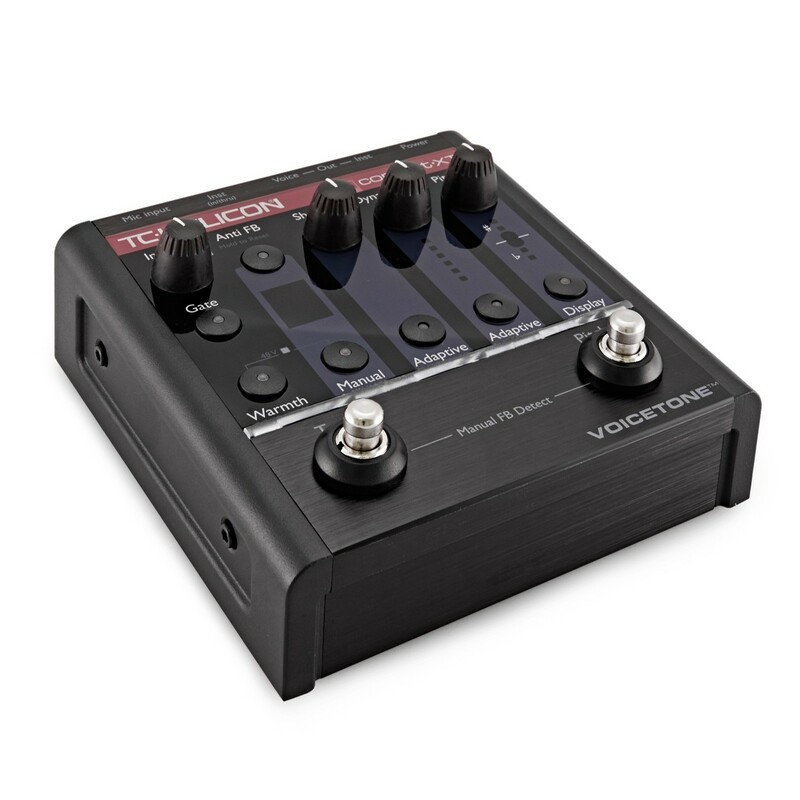 The revolutionary and patent pending Mic Control circuit is built into VoiceTone Correct XT. 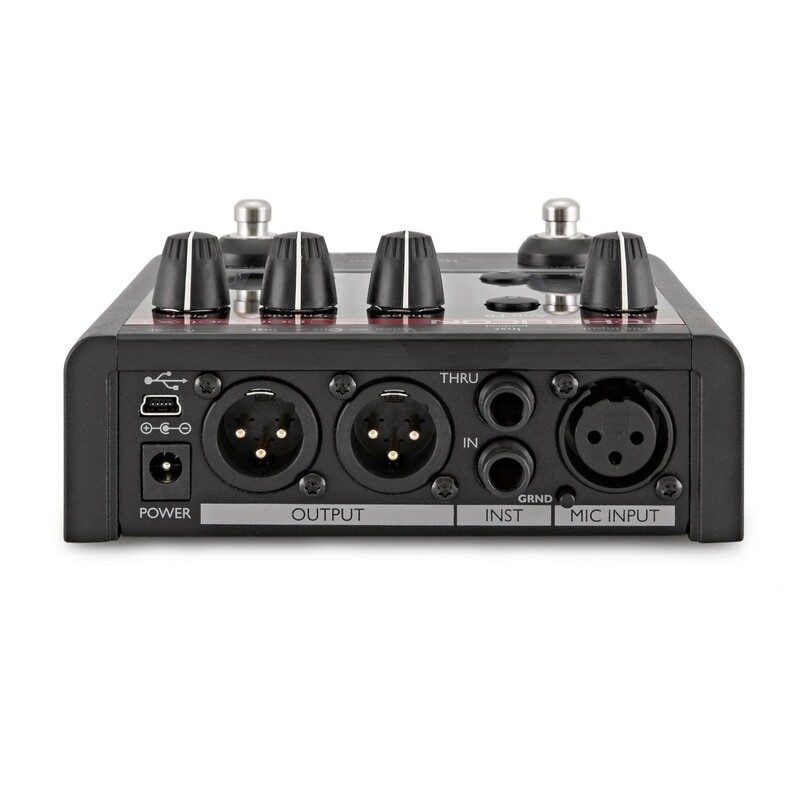 This allows TC-Helicon's MP-75 Modern Performance Vocal microphone's thumb switch to turn pitch correction on off right from your vocal mic. Picture having the freedom to kick-in a little pitch help when you need it. Effortless auto chromatic pitch correction helps you sing in tune. Automatic anti-feedback seeks and destroys feedback. Can be chained to additional VoiceTone pedals.